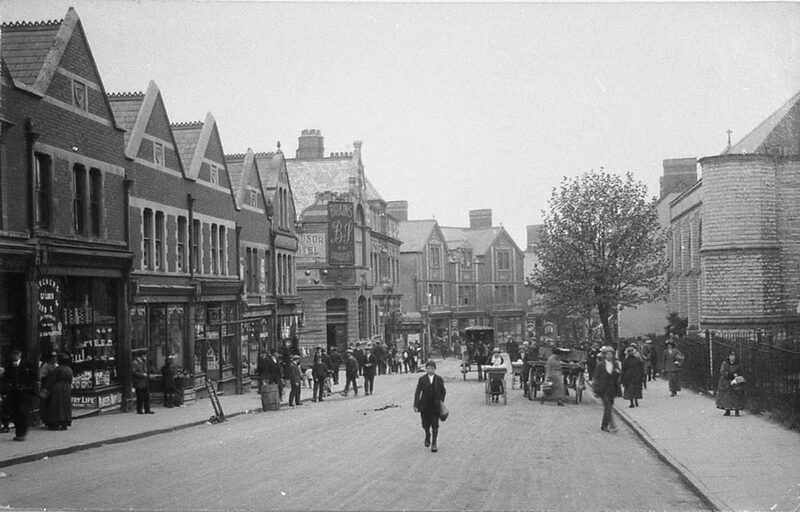 A black and white photograph of Holton Road, with the Windsor Hotel on the left and St. Mary's Church on the right. 596 Port Company Anniversary Dance Invitation. F. J. Greener, Leading Jeweller.